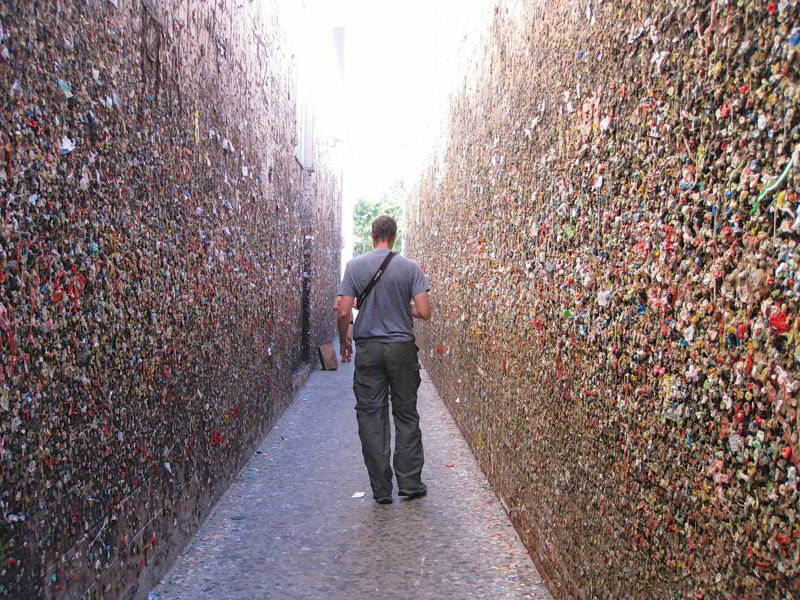 Ever heard of a bubble gum street? 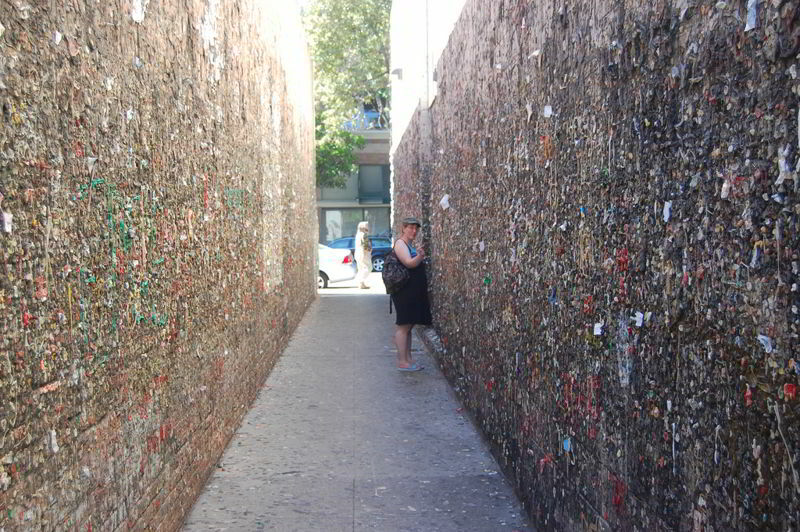 Bubblegum Alley is one of the most popular tourist attractions in San Luis Obispo, California. 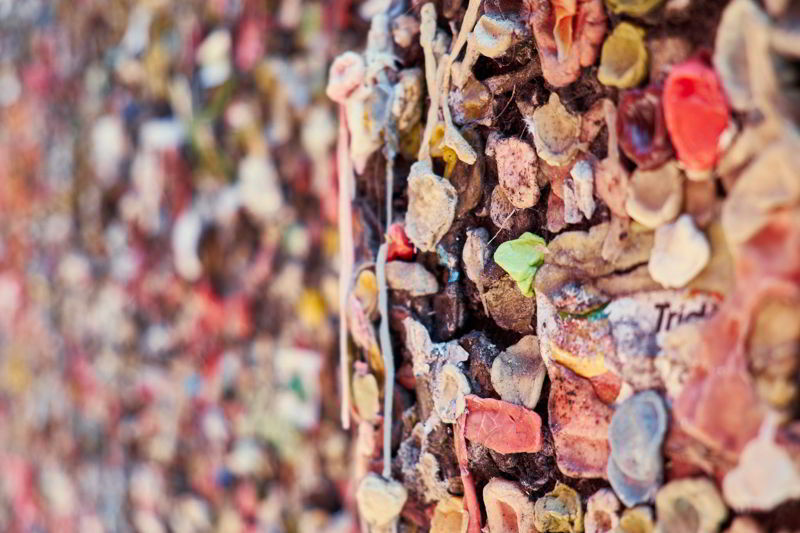 It is known for the kind of accumulation it has on its walls; this accumulation is of used bubble gums. 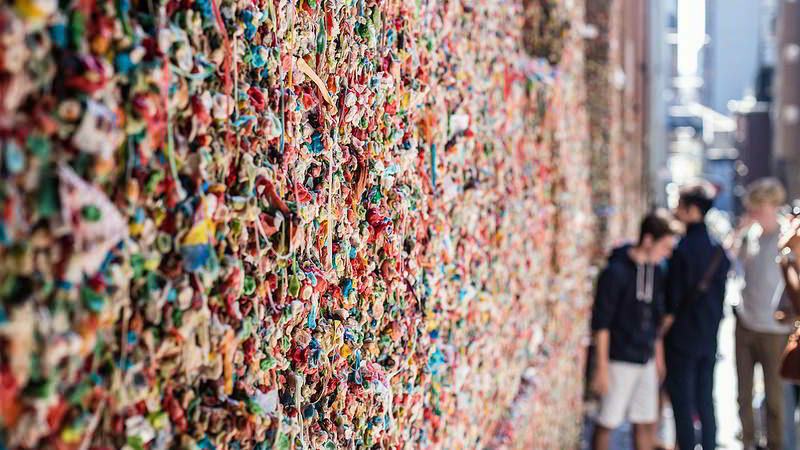 Almost all the passers-by ensure that they stick their chewed or the left-over gum on the walls, which are 15 feet in height and 70 feet in length. It is 20 meters long and is in the 700 block of Higuera Street. San Luis Obispo Chamber of Commerce and Downtown Business Improvement Association state that the history of the gum is ‘a little sketchy.’ According to some historians, this alley’s tradition started right post World War II as a graduating class event of San Luis Obispo. The other historians believe that it began during the late 1950s as a competition between the students of California Polytechnic State University (Cal Poly) and the students of San Luis Obispo High School. 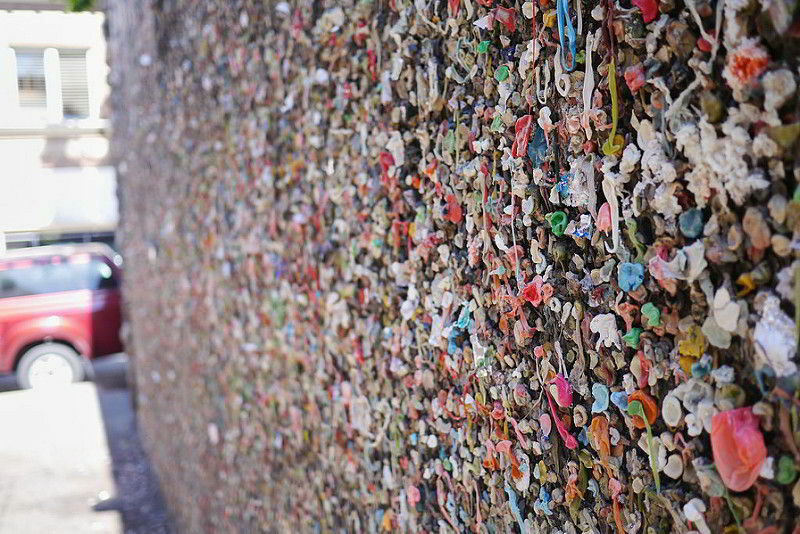 The Bubblegum Alley began during 1970s. The alley was completely cleaned when the shop owners of the area stated that the place was ‘disgusting and unsanitary.’ The gum graffiti had to go through two full cleanings during 1970s. In the year 1996, the BIA tried to have another session for cleaning the alley, but it was unsuccessful. A lot of professional artists have been inspired by this alley. One of the most popular artists is Matthew Hoffman. If you visit the east end of this alley, you see a huge self-portrait of this artist; it has been titled as ‘The Projectbubble Gum.’ A lot of bubble gums have been used to make this mind-blowing bubble gum graffiti. On 30th April, 1986, the poet Arroyo Grande came up with a poem called ‘An Ode to Gum Alley’ to dedicate it to this alley.